Welcome to ReachMD. The following program “Care Collaboration: Patients with Type 2 Diabetes and Established Cardiovascular Disease – From the Cardiologists’ Perspective” is sponsored by Novo Nordisk. I am your host, Dr. Jennifer Caudle, and joining me to talk about a cardiologist’s perspective on integrated care coordination for patients with diabetes and established cardiovascular disease is Dr. Mikhail Kosiborod and Dr. Christie Ballantyne. Thank you so much for joining us. So, to start, let’s take a patient with type 2 diabetes who has established cardiovascular disease. Dr. Kosiborod, what are your top-line priorities for managing a patient like this? Well, I think if you keep a patient front and center, what becomes important is to make sure that you reduce cardiovascular events that ultimately have the biggest impact on patient lives, So I would say, while it’s important to make sure that patient’s blood glucose and hemoglobin A1c are well controlled, which kind of have been traditional foci of treatment of type 2 diabetes—because we always thought of type 2 diabetes as a sugar problem—we know that’s a lot more than that now, and so that I think it’s important the paradigm shift that’s happening now is that you are kind of shifting from just emphasis on glucose control, which is still important, but also emphasizing now how you get there and making sure that the treatments that you are talking to the patients about and trying to emphasize to the patient are the ones that actually are going to have the biggest impact on morbid events like this. So in turning to you, Dr. Ballantyne, what are the clinical priorities from your standpoint? My specialty is preventive cardiology, and I focus on comprehensive risk factor modification, and one the first things is the patient’s lifestyle. Typically, we want to see what is their weight, what’s their diet, what’s their exercise, and we’ll set goals for all these things in terms of what they are willing to do for that, but there are specific exercise prescriptions and weight targets that are given. So these are all really great priorities, and I’m really grateful to both of you for sharing them, but now let’s shift to the challenges and opportunities that really arise when collaborating in patient care. So, Dr. Ballantyne, what are some barriers that you commonly face when coordinating care with other specialists, such as endocrinologists and primary care healthcare providers? Well, the challenge I face is that a patient can be referred by an internist or an endocrinologist, and they may be referring that patient because they have a lipid problem out of control or they can’t control their blood pressure, and I will address that issue, but I need to also look at the entire patient. And so I’ve had patients come to me and their lipids are out of control, and I say, “Well, what about your diabetes?” And they say, “What diabetes? Do I have diabetes?” So, this gets to be an issue that comes up, and so you have to look at all of these issues. And it’s a particularly challenging problem, because I have a number of patients who they tend to be obese, they have lipid problems, they have hypertension, then they get diabetes, and I’ve been telling them to lose weight, and they have gone on medications that have, unfortunately, led to more weight gain, so that has been a challenging issue. And, Dr. Kosiborod, what are your experiences? What have your experiences been like and also some challenges, any challenges you’ve experienced in this regard? There are certainly no lack of challenges, and I think the main challenge is that if you look at the way we have traditionally taken care of patients that have diseases with complications affecting multiple organ systems—with diabetes, of course, being a prime example of that, all the cardiovascular complications, microvascular complications, neuropathy and retinopathy and nephropathy—lots of different specialists involved in the care of a patient with diabetes. And what gets lost sometimes in translation with multiple specialists and generalists being involved in the care of the patient is that they each take care of their own organ system. At the end of the day, it’s 1 disease with multiple manifestations. We’ve got to take care of the patient. The patient’s got to be front and center. Right? And it’s everybody’s responsibility to make sure that the most important complications are going to be of the most impact for the patient so the patient outcomes get taken care of. So, one of my colleagues kind of coins this phrase saying, “If it’s your endpoint, you own it.” And, of course, endpoints, we own in cardiology think like myocardial infarction, heart failure, we want to prevent cardiovascular death, we want to prevent stroke, so when it comes to care of patients with diabetes, that’s where I think the role of cardiologists really is primetime for it to expand, now take a more active role. It’s got to be a team effort. And we as cardiovascular specialists cannot be immune to that. We’ve got to take part, and I think our patients will be better for it. That’s excellent, very excellent. For those of you who are just joining us, this is ReachMD, and I’m your host, Dr. Jennifer Caudle. Today I’m speaking with Dr. Mikhail Kosiborod and Dr. Christie Ballantyne on care collaboration when treating patients with type 2 diabetes with established cardiovascular disease from the cardiology perspective. So, earlier we talked about some of the barriers that you both face when coordinating care, so with these challenges in mind, what would a more ideal situation look like in terms of bridging these potential care gaps for patients? So, Dr. Kosiborod, let’s start with you. Well, as far as how do you actually solve the problem of fragmented care and how we get to more comprehensive care, Christie was talking earlier about comprehensive risk reduction. Right? So there are different ways of getting there, and I don’t think what I’m going to talk about now is a recipe for every single care setting. Right? I mean, people practice in different kind of environments, and what may work for us at our institution may not work for somebody else. But one of the things that is happening now, which I think is one of the potential solutions, is creation of these Comprehensive Cardiometabolic Centers of Excellence. We actually have cardiologists, endocrinologists, primary care doctors, diabetes educators, diabetes trained nurses all providing care for the patients in one setting, in one environment. And we’ve been talking about creating these nurse navigator positions where when you have a comorbid—a patient with multiple comorbidities,—you can coordinate care through both collaboration, not just different specialists and generalists but also nurses and certified diabetes educators. And I think that’s one of the ways that you can do it. So we actually are going to do it at our institution. We are in a large, integrated healthcare system. 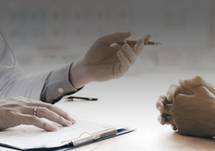 If you are in a private practice, that may not work for you. But I think there are some versions of this, there are some variations on the theme, that may work. Ultimately, as long as everybody keeps in mind that the goal is to try to take care of the patient and improve the patient outcome, you can come up with different models. One other option would be if you as a cardiologist, let’s say, are somewhat less comfortable with using certain medications, medications developed for glucose lowering initially, you could potentially imagine a scenario where you can defer to your colleagues—endocrinologists, primary care doctors—in terms of actual act of prescribing medications and following the patient, but it’s still your responsibility to make sure you bring it up. You talk to the patient, you talk to your colleagues to at least bring it up as a potential issue that needs to be addressed. Right, very good points. As a primary care doctor who works in a university setting, I have to say that this comprehensive model that you all have sounds like heaven. It sounds amazing. One of the beautiful things about it, frankly, is that we have a very large cardiology group, right? There are over 60 cardiologists in our practice, and many of them may be less comfortable than I am and some of my other colleagues as a preventive cardiologist, right? So, if you are an interventional cardiologist, you may not be comfortable dealing with that, and you can say, “Well, just get yourself comfortable.” That would be one approach. But the other approach would be to say, “Do you know what? That’s fine. You have a place where we can take care of it, so all you have to do is just send the patient to us and we’ll take care of it.” It just makes things easier. Absolutely. And turning to you, Dr. Ballantyne, what are your thoughts and perspectives and your approach as a preventive cardiologist? We have to begin with engaging the patient as an active player in their own health care. And prevention, I try to think of it that you’re not having symptoms, so if someone is having angina or they’re having a heart attack, it’s a different situation and they are highly motivated. When you’re not having any symptoms, we’re really talking about frequently the future. We’re trying to avoid something happening. But what I tell the patient, “It’s your car. I can give you a path, and your other doctors can, but you’re driving the car, and so you need to be the one in terms of the diet, the exercise, taking your medications.” So communication to the patient of the plan is critical in terms of success of the plan. I didn’t realize this quite how much until I was... We all end up as patients at some point. I had lymphoma chemotherapy, and I would go to the doctor’s office, and I would walk out and my wife would say, “Well, what did they say?” And I was like, “Well, my scan was good.” “What else did they say?” I’m like, “I don’t remember.” And I’m a physician and I didn’t remember. So the diabetic who’s on multiple medications and everything else, we try to comes out is that here is a diet recommendation. Here is the exercise. Here is the weight goal, blood pressure medicine, lipid medicine, and then let’s say, for example, you’re not going to change a diabetes medication but I’m going to recommend. 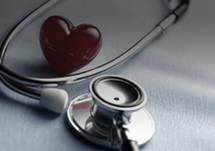 You can still make a recommendation, “Consider this,” that goes to the patient to be discussed with their PCP or their endocrinologist, and it’s really important, because the cardiologist is seen as a very—whether it’s always right or not—but we are seen as the leader in terms of information in terms of cardiovascular care, so we need to be up-to-date in what we’re telling our patients and working with us, the other providers in terms of guiding them. One of the big challenges with preventive cardiology always is that you never see an event that didn’t happen, right? You never see an event that didn’t happen, because you prevented it, right? And the patient never sees an event that didn’t happen because you prevented it. So education is key, right? You’ve got to make sure patients understand what it is you’re trying to do, so it’s education and reinforcement. I think if you are in the preventive cardiology field, those are absolutely critical. Absolutely. I think you both have really good practical and very tangible suggestions for us practicing physicians out there to think in mind and keep in mind, so that’s excellent. Before we wrap up, let me ask you both: What recommendations do you want to give your colleagues to engage other cardiologists more in cardiovascular health management and people with type 2 diabetes? So, Dr. Ballantyne, let’s start with you. What are your recommendations to your other colleagues? Well, we all know this as cardiologists that our patients with diabetes tend to be the most complicated, they have got lots of risk factors with it, they come back in the cath lab all the time with recurrent events, and so it’s important to know the evidence. There have been some guidelines—or some consensus statements, not guidelines—from the ADA and EASD which are fairly straightforward. They are clear and simple, but they give a pragmatic approach in terms of the patient with diabetes. Do they have cardiovascular disease? Do they not have cardiovascular disease? If they do, this is the algorithm that’s important to follow. And so we need to know that information that we can tell our patients and our other people that we practice with, our primary care colleagues, because it’s important that we are providing leadership in regards to management of their cardiovascular disease. That’s why they are coming to see us. Wonderful. And, what about you, Dr. Kosiborod? What do you think? I think my message to my cardiology colleagues would be, “You need to get educated about what’s going on,” I think because of this kind of false dichotomy into cardiovascular disease. And diabetes, it’s really, as far as I’m concerned, in many patients one disease. It’s one causing the other. A lot of the data from cardiovascular outcomes trials in the field of diabetes and looking at diabetes medications has been kind of viewed as outside of the purview of cardiologists, so we as a field have not been paying nearly as much attention to it as we should. Even though I would argue some of the most exciting data has been coming out for the last 10 years has been in that very area, right? So I would say you need to get educated about the data. You need to understand what’s going on. You need to get educated about the medications. Just like if this were an antiplatelet agent or a new anticoagulant or a new lipid-lowering medication, we as a specialty would take care to actually educate ourselves and know how to use it, know what to watch out for, what to tell the patient. Right? It’s no difference here. Very good point, both of you very good points. And with these important updates in mind, I really want to thank Dr. Kosiborod and Dr. Ballantyne for joining me to really discuss the importance of care coordination between cardiologists and endocrinologists when treating patients with type 2 diabetes and cardiovascular disease. Thank you both so much for your time today. 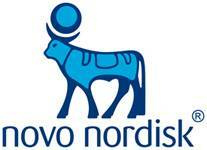 The preceding program was sponsored by Novo Nordisk. If you have missed any part of this discussion and to find others in this series, visit ReachMD.com/Type2Diabetes. This is ReachMD. Be Part of the Knowledge. © 2019 Novo Nordisk. All rights reserved. 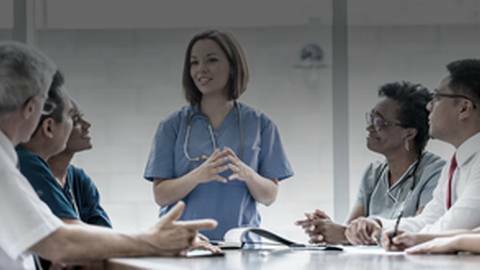 Hear from cardiologists on what a multidisciplinary approach to managing patients with both type 2 diabetes and cardiovascular disease looks like. Since type 2 diabetes and cardiovascular disease often go hand in hand, having a care collaboration plan in place is essential in managing these conditions. Here to discuss both the challenges and opportunities that arise when collaborating patient care are cardiologists Dr. Mikhail Kosiborod and Dr. Christie Ballantyne.